Hong Kong – Dec. 31, 2015 – Today we are pleased to announce the general availability of OpenShift Enterprise 3.1 and the official public preview availability ofRed Hat Atomic Enterprise Platform, announced earlier this month. Each of these offerings enable the use of Docker-formatted Linux containers to create microservices-based applications and modernize traditional workloads. OpenShift Enterprise 3.1 delivers new Red Hat JBoss Middleware services, advanced management functionality provided by Red Hat CloudForms and enhanced application lifecycle management for containers implemented on OpenShift’s enterprise-grade container infrastructure. Additionally, updates to integrated Docker and Kubernetes capabilities augment the developer and platform administrator experience. Available as a public preview, Red Hat Atomic Enterprise Platform includes a runtime and packaging format powered by Docker, orchestration and cluster services built on Kubernetes and new networking and storage plug-ins for scalable, multi-host container networking. As enterprises expand the footprint of their container infrastructure, registry services in Red Hat Atomic Enterprise Platform allow for more secure repository and management for sharing and reusing container images. 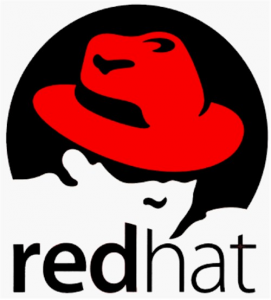 OpenShift Enterprise 3.1 and Red Hat Atomic Enterprise Platform highlight the depth of Red Hat’s container technology portfolio as well as the company’s leadership in Linux containers. But technological innovation in containers isn’t enough; for enterprises to deploy containerized applications for mission-critical functions, security concerns must be addressed. In fact, an April 2015 study by Forrester Consulting, commissioned by Red Hat, notes that 53 percent of the 194 global IT operations, application development and architecture professionals polled call out security as one of the top three current challenges experienced by their organizations in their use of containers. To help meet this critical need, Red Hat is also working to improve Linux container security through many initiatives. OpenShift Enterprise 3.1 and Red Hat Atomic Enterprise Platform both include several hardened security features that leverage Red Hat’s certified container ecosystem. Additionally, we recently announcedcollaboration with Black Duck around more secure containers. And, Red Hat maintains the industry’s first certified, container ecosystem, providing certification tools that verify a container’s content and certify applications running on Red Hat Enterprise Linux.To learn more about many of Red Hat’s perspectives and work on enterprise IT security, listen to yesterday’s “Secure Foundations for Today and Tomorrow” virtual event, now available on demand.